The good thing about this bland horror film is that it generally avoids jump cuts. That's unusual these days. There are deaths. It's unusual to make a horror movie without them, but by genre standards Wish Upon is not a particularly bloody or grotesque film. Unfortunately it's only infrequently a scary film. The film has pedestrian writing. I've seen much better writing and acting on early Supernatural or Friday the 13th episodes. After ten minutes of Wish Upon the viewer will know how the story will turn out. The only question is who is going to get it in the neck along the way. This movie reminded me that time waits for no one. I am used to seeing certain people as the curvaceous sultry babe or young dashing rake. They are now playing respectable, stolid, wrinkled, greying, middle aged parents and neighborhood residents. If they are still around in another fifteen years or so they'll be playing grandparents. So it goes. Anyone who has seen any horror movie knows that if you find an antique of uncertain provenance with warnings in languages that aren't easily understood, it's not a good idea to bring that item home. Anyone who has watched horror movies also knows that when you get something that's too good to be true, it is too good to be true. We always pay a price for what we do. I guess that it says something about human nature that this basic lesson is one that we must constantly relearn. There are no free lunches. So maybe we use horror movies to illustrate moral lessons. Movies can perform the role previously played by grandparents passing down practical moral guidance. Clare Shannon (Joey King) hasn't yet learned that life offers no free rides. Clare is a plain (and King is well cast here) high school girl who's neither rich nor popular. She lives with her widower father Jonathan Shannon (Ryan Phillippe). Jonathan is a former musician who earns a living by reselling junk. Clare thinks it's bad enough when her father drives her to school in his beat up pickup. But she really can't stand it when Jonathan and his partner/friend go dumpster diving on school property. Jonathan is a widower because his wife/Clare's mother committed suicide when Clare was a very young girl. Clare's neighbor Mrs. DeLuca (Sherilyn Fenn) keeps an eye on Clare. She occasionally offers a woman's perspective to Clare, but no one can really replace your mother. 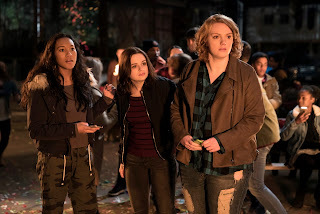 Except for her two best friends (Shannon Purser, Sydney Park), Clare has no companions at school. She's usually ignored by boys, and is thus perpetually dateless. She's mocked by the more attractive and wealthier girls, especially Darcie (Josephine Langford) who goes out of her way to bully Clare. One day while rummaging through garbage cans Jonathan finds a music box with Chinese inscriptions. Knowing that Clare is studying Chinese, her father decides that the music box will be a perfect gift for his daughter. The script is old and unusual. Clare can't make out most of it. But she can decipher the part about seven wishes. After a particularly ugly incident with Darcie, Claire half jokingly, half seriously wishes that Darcie would just rot away. When Darcie inexplicably contracts necrotizing fascitis, Clare is happy. But then she's saddened when her elderly dog suddenly dies. Can you put two and two together? Because Clare can't or won't. Clare's life changes for the better. A classmate with a crush on Clare, Ryan (Ki Hong Lee), knows that something's not right. He tries to help Clare. 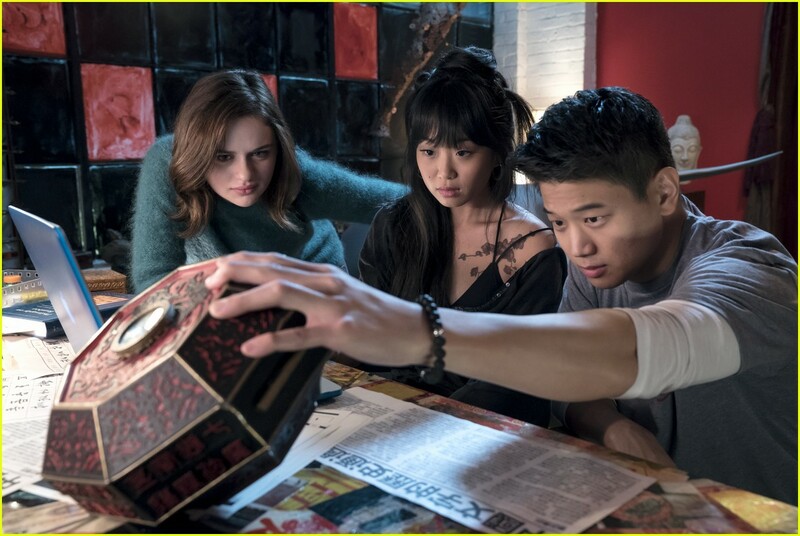 Wish Upon lacks surprises or new ideas. Wish Upon raises and almost immediately drops a subplot about quantum physics and the nature of reality. Wish Upon's biggest problem is that it's just not scary. Some people accept the supernatural too quickly while others behave stupidly for the plot. This film was barely ok if you don't like deep horror. Think Mean Girls mixed with Drag Me to Hell with Final Destination and Beverly Hills 90210 thrown in for good measure. It has a made for TV vibe. The House was executive produced by Treasury Secretary Steve Mnuchin. 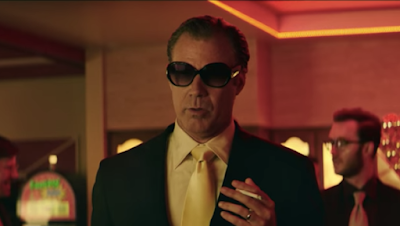 Will Ferrell is a skilled actor with a rubbery expressive face and a talent for physical comedy. He can be either straight man or man-baby clown. Ferrell has the ability to make the most ridiculous seem normal and the normal seem ridiculous. But even Ferrell can't save this film. This movie must have been funnier in its initial conception and development than it was on screen. There are one or two set pieces which may make you chuckle one or two times but that was about it. This movie relies on (1) setting up stereotypes and then undercutting them (2) gross physical humor and (3) parodying better known movies, specifically Casino and Office Space. My problem was that it was soooooo very predictable to set up the expected stereotype and then reverse it. Everyone does that now. It would have been more interesting to set up the character stereotype and then roll with it. Scott (Ferrell) and Kate (Amy Poehler) are small town middle class people who haven't done a whole lot with their lives. However, they have raised a smart attractive daughter Alex (Ryan Simpkins) who has just been accepted into Buckley University. The town provides a scholarship to pay for Alex's college education. However, the scummy town manager, who is having an affair with a married councilwoman, eliminated the scholarship fund in order to build a new town pool. Well the good of the many outweighs the good of the few. Scott and Kate need to come up with a lot of cash fast. They can't extract any more money from their home. Their bosses aren't willing to give them raises. They live paycheck to paycheck. The couple decides against their better judgment to visit Vegas with their gambling addict neighbor Frank (Jason Mantzsoukas) to try to win enough to pay for their daughter's tuition. That doesn't work out. But Frank has another plan. Although he's a degenerate gambler he knows the house always wins in the long run. Frank suggests creating a neighborhood casino. The husband and wife can make enough money to send Alex to college while the pleasantly loony Frank can earn enough to lure his estranged wife back. In no short time the trio is taking bets on fights between demented housewives, extending credit to high rollers, throwing beatings to delinquent debtors, and attracting the attention of local police and mobsters. Wash, rinse, repeat. This was a dumb movie with almost no redeeming value. About the only funny thing was watching Ferrell do his Ace Rothstein impressions. If you want to watch Poehler vomit, or squat and relieve herself, be sure to put this one on your list. I don't know if the potty humor was more offensive than the idea that folks who have never run a casino or dealt with very dangerous people could do all of that without problems. I would have enjoyed this movie more as a black comedy. Perhaps the couple could have been (initially) disturbed about how far they would go to get their offspring into college.